All new WS Series is composed of beautiful Fashion Speakers that perfectly suit in places like cafe, restaurant, front desk, conference room and park where the design of the speakers matters more than other places. Unlike the previous version that was mainly used as a monitor and auxiliary speaker, the new series is optimized to play high quality BGM. 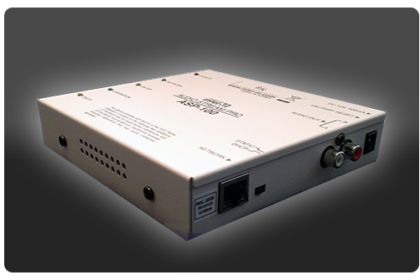 Plus, it has a useful line-up of wide output from 15W to 80W and 2.5″ super small-sized to most widely used 6.5″ sized. Aesthetic design of the WS Series is an output of analyzation of ideas and feedback received from buyers all around the world. Not only the beautiful design but the size of the series and 2 Way construction perfectly suit to maximize the output of the speakers. The WS Series possesses superior specifications compare to other companies’ products especially with sound pressure, frequency response and damp-proofing. It also adopts U Bracket to adjust angle conveniently and Tap of 70V/100V and 8Ω which can be used in any countries around the world. Now, experience Inter-M’s modern the WS Series with both eyes and ears!